Find hotel near Beijing Ancient Architect ..
Beijing Ancient Architecture Museumis located at the No.21Dongjing Road in Xicheng District. The main highlight of the destination is Taisui Palace, Prayer Hall, and Side Halls. 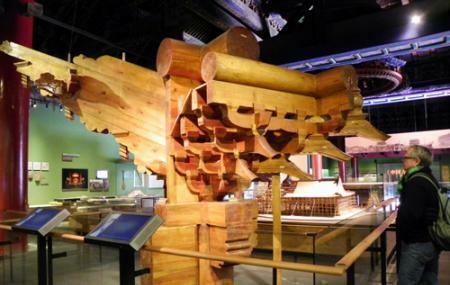 The main exhibition in the destination is the exhibit which shows the Chinese ancient architecture and also the history and culture of the Temple and of agriculture. The destination is a good place to while away some time while you are in the city. Also, visit the popular attractions in the city by following Beijing itinerary 7 days. First 200 visitors on every Wednesday are free to enter. Take the subway from Taoranting. Take a bus from Rehabilitation intersection east.